A new book by Thomas Goetz. Available now. The Remedy, a Best Book of the Month on Amazon and iTunes, is out now – order your copy today. 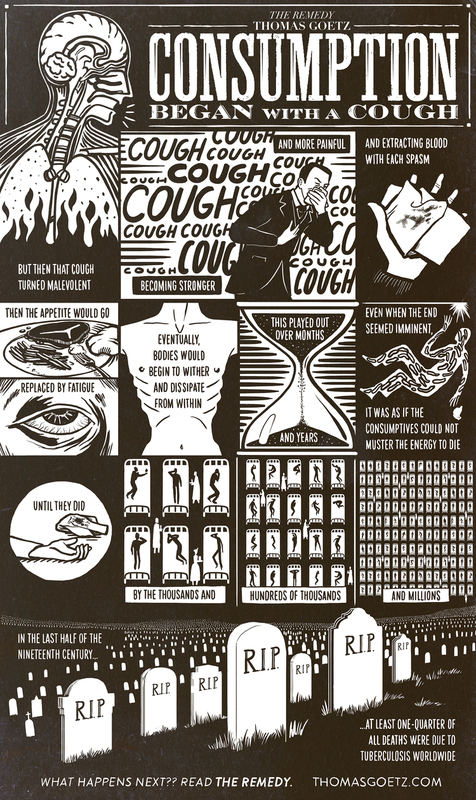 Go inside this mysterious story with a series of graphic novel excerpts. Fun Fact: sparkling water contains little tiny volcanoes in digestible form. Last Fun Fact tonight: Tomatoes are neither fruit nor vegetable. In fact they're the gestational stage of an obese, slow-moving insect. Fun fact: French food is almost entirely based on one obscure cookbook written in a 14th century Flemish monetary.